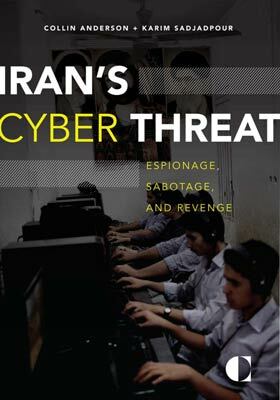 Iran’s Cyber Ecosystem: Who Are the Threat Actors? Campaign: A set of activities carried out by threat actors for some particular purpose. Credential theft: The process of stealing credentials associated with online platforms, such as passwords or account recovery information. Distributed denial-of-service (DDoS): An attempt to make an online service unavailable by overwhelming it with traffic from multiple sources. Offensive cyber operations: Cyberspace operations intended to project power by the application of force in or through cyberspace. Sinkhole: Redirection of malicious internet traffic so that it can be captured and analyzed by security researchers. Spearphishing: A targeted attack that uses a deceptive email to trick the recipient into performing some kind of dangerous action for the adversary. Supply chain attack: The strategic compromise of a particular entity, such as a vendor, with the intent to indirectly compromise another, primary target, such as the vendor’s clients. Threat actor: An individual or group involved in malicious cyber activity. Watering hole attack: The compromise of a selected website in order to stage intrusion attempts through malware to the visitors of the site.